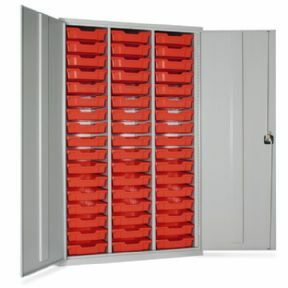 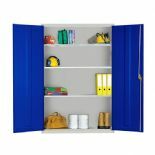 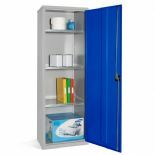 High Capacity Storage Cupboards with Trays. 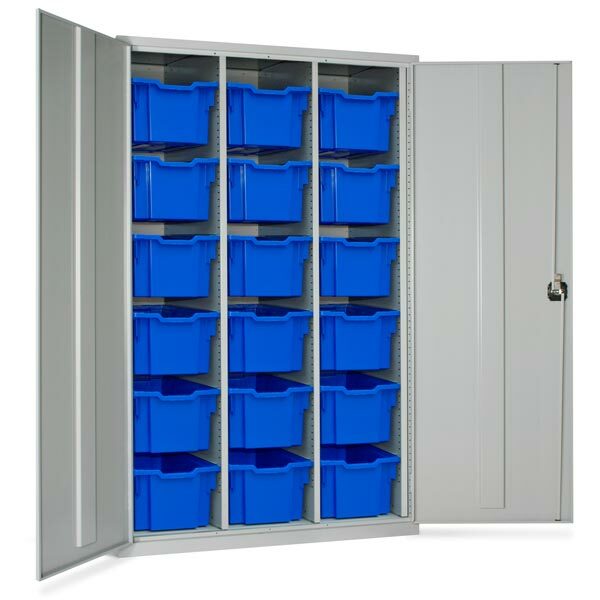 Unique and exclusive product offering.... a high density removable tray storage solution that helps to dispense and segregate valuable smaller sized items within a secure lockable cupboard. Supplied with robust polypropylene Gratnells trays in a 3 column configuration. 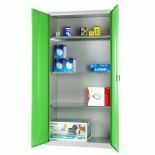 Each tray is supplied with an identity label and can be fully extracted to transport multiple items safely to a remote location.